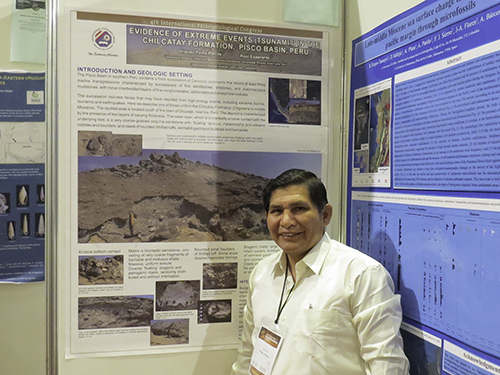 Museum director Orlando Poma poses by his scientific poster at a professional meeting in Argentina. A group from the University learns about fossil whales from Dr. Raul Esperante of GRI in cooperation with the Resource Center. University and volunteer personnel of the Resource Center pose in front of the most prized item on display, a fossil whale from the Pisco Formation.